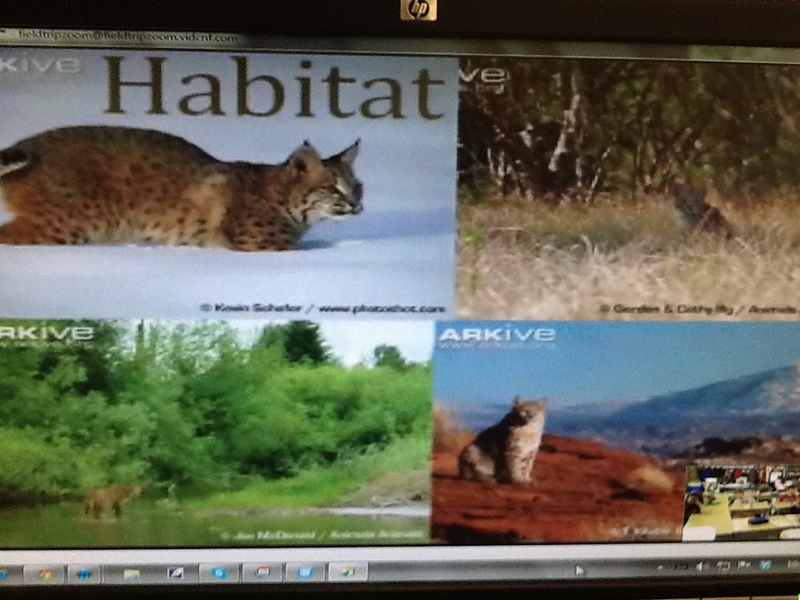 This week we had the opportunity to learn about bobcats during a video conference with the Texas Wildlife Association. Why bobcats? 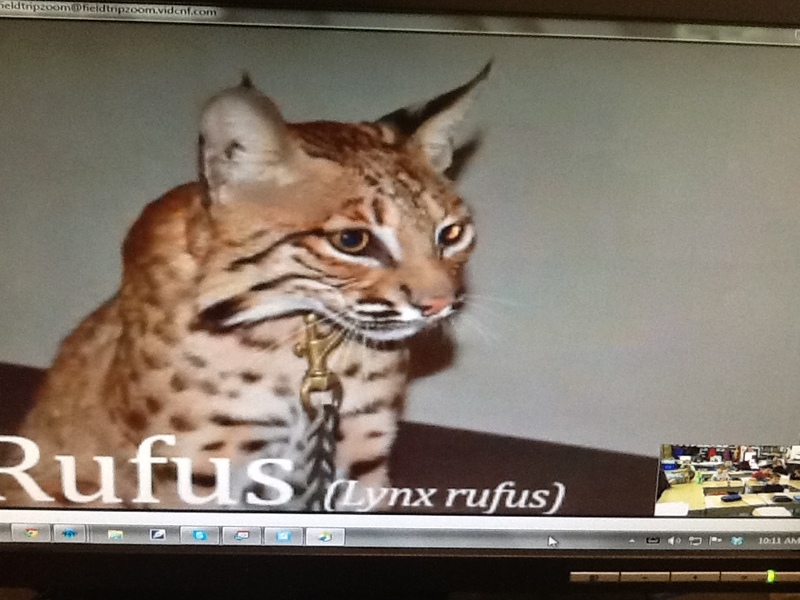 After video conferencing with kids living in Sweden, we learned that they have bobcats. We were curious about bobcats and wanted to learn more so we did! This is Rufus – he was rescued by the Texas Wildlife Association. Bobcats are a part of the cat family. Bobcats got their name because of their short tails. We asked what the tufts of fur were for on the top of their ears we learned that no one is really sure. The Texas Wildlife Association believes it helps sound move into their ears. We also learned that the white markings on the back of a bobcat’s ears are supposed to look like eyes at the back of their heads. These markings are supposed to confuse predators. This is a bobcat’s skull. We noticed that the bobcat has sharp teeth. We learned that bobcats eat small rodents and animals so they need those sharp teeth to catch their prey. We also learned that the bobcat is a predator, and all predators have eyes at the front of their skulls so they can see their prey as they chase them. Prey have eyes on the sides of their skulls so they can see all around them as they run away from predators. Bobcats live in different habitats. They live in the wild and now bobcats are living in urban areas. Bobcats are coming into urban areas because people have built houses where there used to be forests. We had fun learning about bobcats! Thank you Texas Wildlife Association.